Switch owners will have to wait a little bit longer for the latest Yoshi adventure. Today, Nintendo announced that Yoshi for Nintendo Switch (originally announced at E3 2017) has been pushed back from 2018 to 2019. Fans might’ve guessed as much due to the game’s absence during Nintendo’s E3 2018 press conference. A press conference focused primarily on Super Smash Bros. Ultimate for Nintendo Switch. 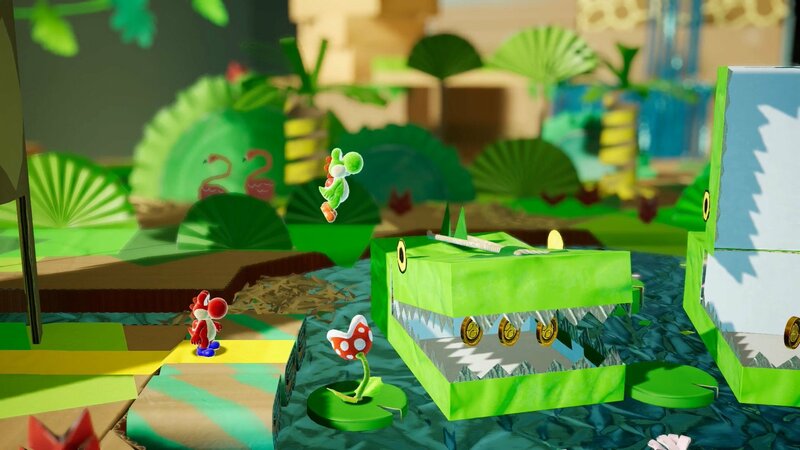 So even though gamers will have to wait until 2019 to get their hands on the latest Yoshi game for Nintendo Switch, it’s good to know the project is still coming along. In the meantime, Nintendo Switch owners have games like Super Mario Party, Pokemon Let’s Go! Eevee and Pikachu, as well as Super Smash Bros. Ultimate to look forward to before the end of the year. What do you think about Yoshi for Nintendo Switch being delayed into 2019? Are you sad, or are are you more concerned with pre-ordering a copy of the latest Smash Bros. game? Let us know your thoughts down in the comments below!